Earn up to 400 Points Points. SKU: KootCitSkunk. 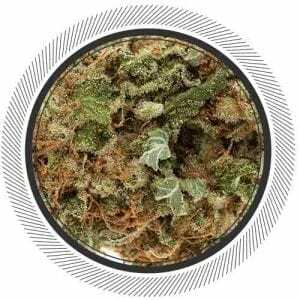 Categories: Flowers, High THC Strains, Sativa. Terps, resin pockets, and perfectly manicured. Kootenay Fire has outdone themselves on this Citrus Skunk. She's back! Citrus Skunk is amazing in it's appearance, smell and effects. It's definitely a Sativa dominant strain with the nice compact buds. This is a fully 100% organic flower with a 21 day dark and very slow drying process. Beautiful stuff. Citrus Skunk is blanketed in trichomes and red hairs. Do any of you remember the Grape Crush we used to carry? The nugs you would break apart and find resinous pockets of gooey sap? This flower follows in those footsteps and is a sign of growing perfection. Gevida lights have a little something to do with it as well. Top shelf flower. Top shelf quality. 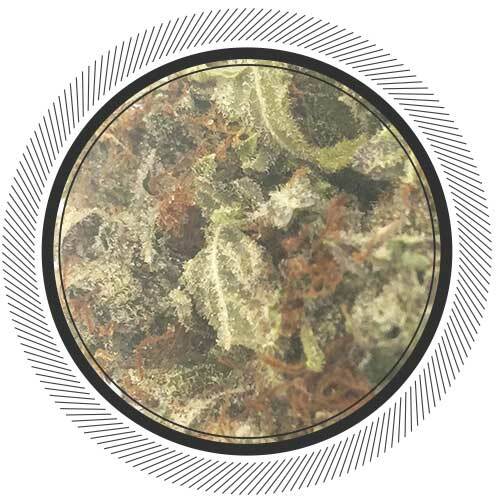 Top shelf strain with enhanced strength, taste, and effects due to the resin pockets. It's effects are all Sativa as well. 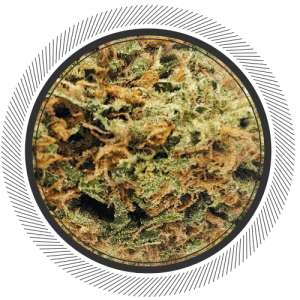 It smokes very smooth and has a great citrus fruity smell and taste so you can enjoy hit after hit. The skunky after smell is present as well for those of you looking for Skunkyness. 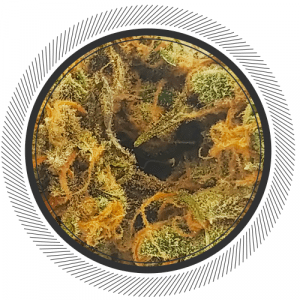 It's a great daytime strain that will definitely uplift and energize you. This is actually one that Dean would not recommend for night time use as you may not be able to fall sleep after partaking in a Citrus Skunk session. Another observation that is worth noting is that the initial hits won't knock you back but rather easy you into a very calm state of mind. 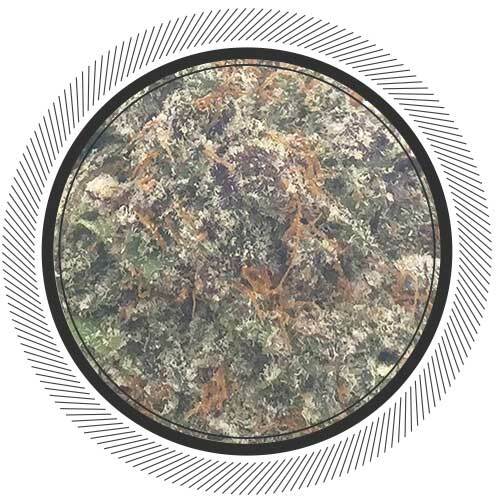 Appearance 10/10 dark green dense super sticky well trimmed and cured buds with some red hair and absolutely dripping with golden juicy resin. Aroma 9/10 more citrus than skunk, very close to the aroma of lemon haze, smells like country time lemonade drink mix!, this is nice but i love a good ol skunky smell so if there was a little more funk to it i wouldn’t have cried.. Flavor 9/10 very nice lemon flavor, the vapor is thick and strong, again close to the lemon haze profile however i much prefer the citrus skunk, it’s not as smooth as the lemon haze and to me that’s a GOOD thing!, i like to know that i’m hitting something! Active effects 10/10 HARD hitting HEAVY head HIGH!, never felt any pain while enjoying my ride!, REAL NICE. Overall 9.5/10 VERY NICE, i am primarily an indica/hybrid consumer, a lot of sativas tend not to impress me, this citrus skunk blew me away! Great trim, great structure, very resinous. Very nice day time high. good flavor too. Wow the smell is unbelievable and tastes just as good. Nice smooth smoke not harsh at all. The count looks small but weighs up. super dense buds that bust out huge. My friends Gaby made me try this one and omg thats the best strain i ever tried….! Gonna be ordering for my first order this magnificent flower with some gorilla glue! Heard that this strain are one of the Best here ! This Strain is the Supernova of everysativa in the Planet . The only depression case I can have into smoking weed is to think that this strain will be no longer available Soon. very strong smell of citrus, tastes amazing looks amazing well done!! Dense, sticky, full pull and notes of orange, great! Lots of flavour and vaped very smoothly. Very strong but not overly strong. You feel very happy, in a great mood and very calm. Didn’t cause me any anxiety. Smell out the bag is amazing nice buds sweet taste. Nice motivated high well done KF! bud is extreamly green and sticky, smells frest you can taste the citrus. top 5 sativa strain for me. Good looking and amazing smoke! This stuff is the purest sticky icky I have ever had the pleasure of coming across. The lemony smell is STRONG but when you vape this flower it honest to goodness tasted like sweet lemon drop candy. STICKY, they aren’t lying about the lil sticky pockets in the buds, and the high was STRONG as well, especially when vaped at work with a cup of coffee, i was rip roaring to go. Thanks white palm, hope you keep it around for a while. Tastes like a very sour citrus fruit and the smell makes the inside of your nose tingle. Energetic and uplifting high. Truly makes me feel more joyous – great for a morning sesh. Absolute beautiful buds that ooze an electric citrus scent. The effects are very nice/clean and that flavour is to die for. Well done Kootenay Fire; always bringing that fire!! I just buy this two amazing sativa the citrus skunk and the grapefruit. The citrus skunk leave me stone hard like heavy head buzz. The taste is realy good the bud’s very potent !! And they look amazing dark green big bud whit orange. For real i cant smoke this before job its leave me to stoned i smoke the grapefruit. Very energetic daytime smoke. Super smooth super taste whether its a vape or j. The buds are amazing. You bust them up its like someone cracked open an orange. Very smooth smoke. Long lasting, heady, energizing high. Coated with crystals to the core! Gives me dry mouth like no other, though, nothing a beverage can’t handle! Very nice strain ! Feal very energize. Great for smoking with friend after a meal. The conversations are so easy. I highly recommand. Oh now this is nice. . . If you are a bit indecisive on this one, don’t be, grab some. going to say i smoke about 3 grams a day and this sativa is unreal it keeps me at about 2 grams a day. so, every time i burn a joint i smell lemon peels the taste is the same. not to mention it puts me in this state of i must clean everything in my path. if i smoke a bit too much i get forgetful in small instances but i can smoke a bit before work and still feel the effects of productiveness for like 6 hours! fantastic smoke. i hope it comes back soon.! 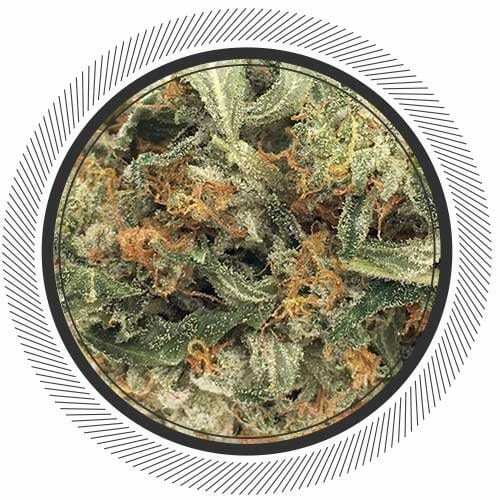 This sativa will rock your world but in a good way. It is very energetic and euphoric. Like stated by others this stuff is pure get up and go.. If you want to crush that to do list, this is your answer. Combine 80% Citrus Skunk for energy + 20% Green Crack for clarity and you will be able to write a 5-page essay on Art Deco’s influence on the 20th century intellectualism movement (or some other ridiculous crap). People with ADHD / Chronic Fatigue Syndrome should stock up immediately. Kootenay Fire, whatever you are doing with your Sativa crops, never change a thing!! It’s perfect. I’ve come across this strain before, but this one is way better! Great skunky high but with a strong Sativa edge to it. I ordered more of this one. Taste is quite nice, earthy undertones with a short bright from the first initial hits. Would recommend but not as good as i was expecting..
Amazing look and smell, Highly recommend.! Amazing terpy tasty sativa bliss! 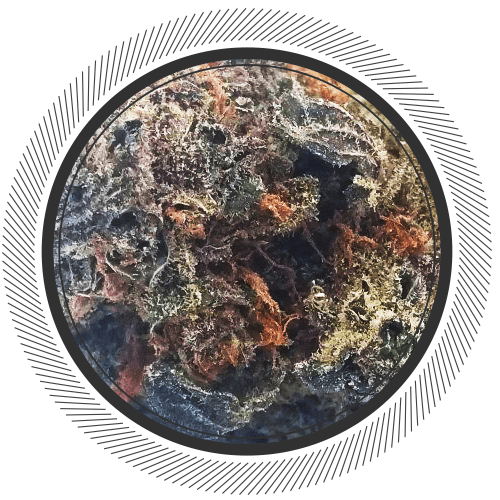 Dank nugs, typical top notch strain from GWP, would be a quad strain at any dispensary… would reorder again! Like this medicine a lot, taste great, very good medicine….! 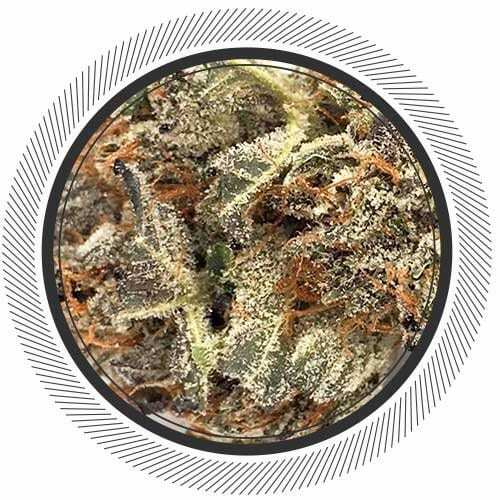 Exactly what I personally look for in a sativa, with a high energy boost that gets me going for a perfect daytime smoke to keep me from wasting the day on the couch. Very happy with this strain. Tasted more diesel than citrus to me but both flavours are definitely there. Smell is very strong. The buzz is fantastic, hits very hard but keeps you functional. U hot alot accomplished last night after a joint of this. I’m a haze type of person but this definitely packed a punch, nice aroma, good flavour. Only thing i think I would reconsider is that I find these small white pebbles in the bud and break they to dust ? Fertilizer? I love this strain! The taste is wonderful and you can definitely smell the citrus off this bud. It packs a punch and is perfect for daylight use. Thanks White Palm, I’ll be back for more! Nice smell, great taste and amazing buzz. Wish i could give 7 stars!! If you are a sativa man/woman like i am, THIS IS WHAT YOU NEED!! This is the absolute best sativa ive had in years!!!! It is a bit pricey but once you loosen those cheeks and spring for some, YOU WILL NOT REGRET IT!! Amazing flowers!! amazing flavor, and then comes the effects. Alert, active, on the ball, smiling kind of results which i cannot praise enough!! Whitepalm, this is a gorgeous flower, thank you!!! Thank you for help with my selection Sarah!! i forgot to mention how passionate the service is when you use whitepalm. I have used many MOM’s and whitepalm is the best, hands down!!! Very nice indeed, top of the line. Quality from the smell, taste, vapor, burn, you name it. Amazing sativa for daytime use, such a clean high. Pretty potent as well. This is my favourite strain. 100%. I check almost every day to see if it’s back in stock! The smell and flavour are delightful. It’s very uplifting, and makes me very creative – much needed inspiration fuel! Awesome strain. Smell and taste are amazing. Can’t beat the grape crush though. Not much ever will. Hope this batch is still as good. This is my fav sativa of all time !!! Already ordered more !!! Citrusy stinky goodness and the buds are so dense and chewy! Wow nugs look amazing, taste and smell even better. Tastes like lemony candy…so nice. I am someone who generally steers away from any sativas as they geersly have low thc/cbd and my tolerance wont allow me to enjoy there effects. I try the odd special looking sativas. This flower is top notch and I would compare it to most top grade indicas for power of effects. Which again is almost unheard of. I highly recommend. I hope you guys can keep this in stock I will be a repeat buyer. Props to the grower sativas are a whole different animal. This took a lot of time and effort. And it shows…. I am someone who generally steers away from any sativas as they usually have low thc/cbd and my tolerance won’t allow me to enjoy there effects. I try the odd special looking sativas though. This flower is top notch and I would compare it to most top grade indicas for level of effects. Which again is almost unheard of. I highly recommend to anyone who can only smoke indicas and wants a sativa that will please. Hoping you guys can keep this in stock as I will be a repeat buyer. BIG props to the grower sativas are a whole different animal. This took a lot of time and effort. And it shows…. Definitely a go to for me. Nice smell and taste. That’s some good sh***. Very tasty, beautiful buds, burns great. Awesome high, keeps you on your toes. 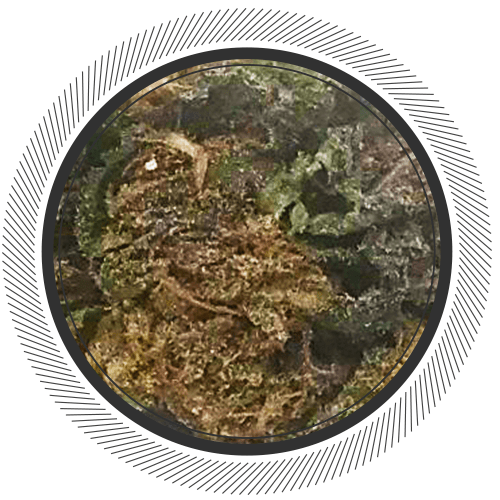 Had to come back and re write my thoughts..I am a daily smoker, I find that the more I smoke of this I don’t get high….this batch is well below average but I am hopeful for my new order or skywalker and some other one. I’m a sativa fan, and this stuff is great! Hits were it counts, will buy again! Very nice smooth smoke and I would recommend this to anybody who likes a sativa strain. 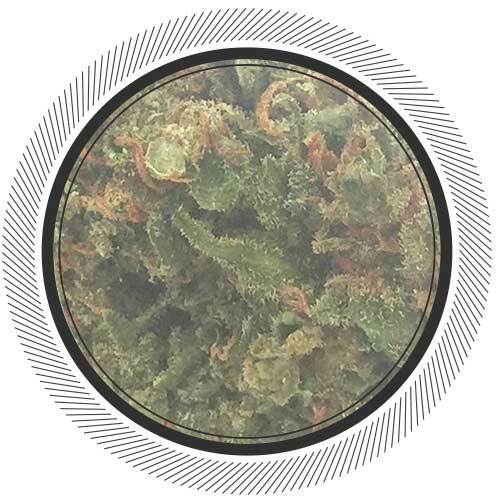 I reordered this strain when I got the email that Citrus Skunk is back. The first order was at the $250 an oz and this was $200 an oz. The first order was a 5 Star (strong citrus smell) and this is a 4 Star but still worth the purchase given the price. The high is an uplifting, cerebral and euphoric for the first half an hour to 45 mins as it slowly drifts down to a calming mind. Tiredness is there but not overpowering, which is excellent for a day smoke. The high duration is slightly less than the first batch. The peak high is over in about 45 mins and you realize the slow decent over the next hour or so. For the price, this is excellent value. It delivers what I am looking for, which is an uplifting cerebral buzz to start the day or a pickup in late afternoon. For those who have tried Golden Goat (GG), this batch of Citrus Skunk is similar with a lower intensity and less define expressions. The GG uplift gets your heart beating faster, which is a stronger expression than just feeling very good. It is all there for Citrus Skunk just a notch lower but fills the bill for getting high and be productive too. Wow, did they not read the reviews from the first batch. I’m really sad to say this second batch is not anywhere near the first one, nor does it resemble the picture above. Instead of being rock hard and having resin pockets this recent order is soft and smells like damp grass. I would have been a return buyer, but I cant order something no consistency. Especially for this price. Wont be ordering unless it’s from south coast…. En revange le buzz est tres bon un high qui dure asser longtemps . Great flavour on this bud and didn’t burn me out. Great daytime smoke. Perfect for wake n bakes! Got it today like the title says I’m an indica smoker everyday toker…took one hit got high! I don’t get most the reviewers. Are you smoking the same weed lol. All these great reviews on everything. Come on peeps be honest. Spending hard earned money based on reviews on this site is not way to go. Fair price and does the trick. Second time ordering this flower. I like the smell and has a great kick! Will order again. Such a nice bag appeal! Great smoke for anytime use. Smoke/overall 8/10 smooth joints with white ash. It’s alright. Was expecting way better quality. Got a batch in November. That one was dank stinky sticky with resin pockets. I had been using this flower for day use. It is a nice light head buzz that does not make it hard to stay awake. Little to no burn out. Great for if you have stuff to do daily and cant appear to be fried. Have had this Amazing strain before but not as strong as this batch. Clipped and cured to perfection. All around best bang for your buck hands down. 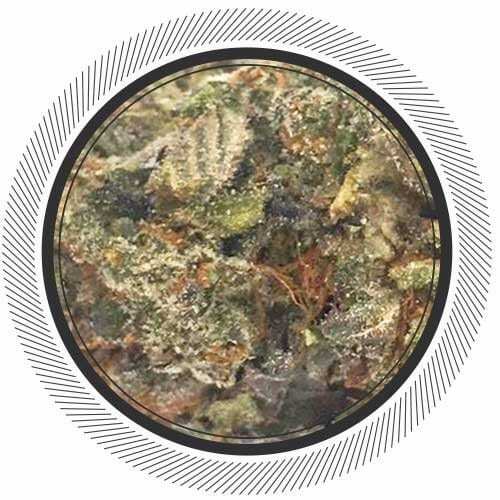 Haven’t had skunk in a long while, this citrus batch is something else, Ya got to try it! This is hands down one of the best strains and I highly suggest everyone try this. Starting off, it’s very aromatic. Strong citrus aroma that fills a room quick. I Tend to smoke this one outside because of the potency of its scent. The high hits fast and strong. Starts off as a cerebral rush that hits behind the eyes very nicely. Weighted, yet It doesn’t give that tired, heavy feeling that normally accompanies strong strains which I love about it. It starts mellowing out into a nice energetic, euphoric feeling high that lasts quite awhile. One of the few strains that sparks my creative side. And I love to clean with some background noise with this one. Towards the end of the high you’ll be in a comfortable state of mind that makes for the most perfect naps. Ever. Little to no munchies and no couch lock. However the calmn feeling you get towards the middle and end I can see holding some people down for less experienced smokers. I suffer from some lower back pain and it did nothing to alleviate it. If you’re looking for a good knock me tf out strain I recommend Blue Coma or White Widow. It’s hard to over smoke this because of how fast it hits but if the cerebral rush is too much I take a few drops of Heal 5000mg cbd tincture. Pricey but worth it. Levels it out nicely and removes the edge.